With the emergence of new types of art fairs taking place in parallel of the big established ones, and the success of the e-commerce, Art is becoming accessible and affordable. Buying art was always associated to certain crowds like collectors, elites or let’s face it, people with money. Now, due to the initiative of few organizations and art fairs all around the globe, quality art is reachable for persons with different kinds of budgets or incomes. The idea is that every arty lovers should be able to purchase art works but not only. The other mission behind theses new concepts it’s also to bring art into people’s life, and promote not only already well known artists but also rising up talents. I decided to introduce you to three initiatives based in Tel Aviv that have this accessible/affordable spirit. 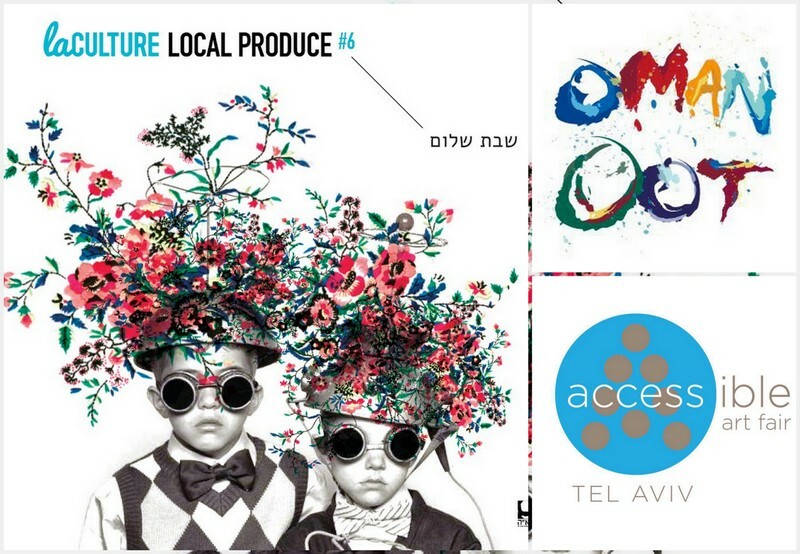 First meet La Culture, a great project that organize affordable art exhibitions in Tel Aviv, giving emerging artists the opportunity to expose their works, and art addicts to discover the ones that will make the art scene of tomorrow. They are currently looking for new artists for the next show so don’t hesitate to be IN TOUCH with them through their Facebook page, their mail list or even through their Instagram. Omanoot‘s mission is to bring Israeli artists into your life at affordable prices. They are an e-commerce, presenting a large selection of photography, illustrations, clothing and jewelry all by local artists. They seem to be passionate about promoting Israeli talents on an international level, and to make Israel known for something else that is political situation. GO CHECK their website and their Facebook page for quick updates. Tel Aviv Accessible Art Fair also provide the opportunity to purchase art and design works from uprising artists and confirm ones. The accessible art fair project started in my home city Brussels in 2005 , and because of their success and the enthusiasm of the audience, they started to launch the concept in different cities such as Tel Aviv in 2010. The next one will take place soon so STAY TUNE. Don’t forget to give them all a LIKE on Facebook. I’d love to offer up another to this great list: http://www.ineednicethings.com . I Need Nice Things was created to make contemporary art affordable. Printed to order (with the ability to choose paper stock and size) and we also offer worldwide shipping. It’s breathtaking art without the breathtaking price.